There are over 20,000 B&Bs in the UK, and on Saturday 24 March we'll be celebrating National B&B Day – dedicated to Britain’s B&Bs, guest houses and small independent hotels, and saluting their contribution to tourism. Be part of it by staying in one of the UK's wonderful B&Bs, from city-centre boltholes and seaside getaways to five-star rural retreats. B&B owners are pulling out all the stops and offering guests something special, whether it be a bottle of fizz, a discount or a room upgrade. Read on for a handful of great offers – on 24 March and beyond. One of Blackpool's original boutique B&Bs, Number One St Luke's is the ultimate glam retreat, perfect for a romantic break. Each of the three bedrooms are sumptuously decorated, whilst their en-suites have whirlpool baths. Hosts Mark and Claire are offering a free bottle of Prosecco for stays over 24 March – so enjoy a glass whilst having a soak in the outdoor hot tub. If you're looking for a bit of luxury from a B&B, Huntingtower Lodge is the place for you. It's an eco-chic haven, set in spectacular West Highland surroundings overlooking Loch Linnhe. With five individually designed rooms and a large comfortable lounge offering panoramic views to the loch and the Ardgour Hills, it's a place where you can really relax. Their spring offer gives you a 20% discount on all stays – a cracking deal. In a fab location right in the heart of Bristol, Brooks Guesthouse is a boutique bolthole ideal for a city break. Each of the 23 rooms are eclectically decorated with a mixture of contemporary and retro furnishings and jazzy wallpaper. Plus, for all you glampers they also have four Airstream caravans housed on the roof – how cool is that? Stay for a long weekend and you'll get the Sunday night half price. For other city-break options check out their sister properties in Bath and Edinburgh. Driftwood Beach House is a gem of a beachfront B&B, a stone’s throw from Seasalter beach and just a few minutes from Whitstable. Choose from three stylishly decorated rooms, the Moroccan, Chess or Spa – each has its own private decked area, whilst Spa also boasts a sunken hot tub and outdoor shower. Bookings over National B&B Day include a bottle of fizz; sup on a glass before strolling into town for dinner in one of the many excellent restaurants. Perched on a clifftop in Cornwall's Mevagissey, this luxury boutique B&B is in a unique location. An adult-only five-star retreat, couples seeking a romantic break need look no further. The three rooms each have sea views and floor-to-ceiling windows and the breakfasts are legendary – think homemade granola, eggs Benedict and freshly squeezed OJ. For pre-Easter bookings from 23 March to 29 March, you can enjoy 10% off rooms and a complimentary bottle of bubbly. 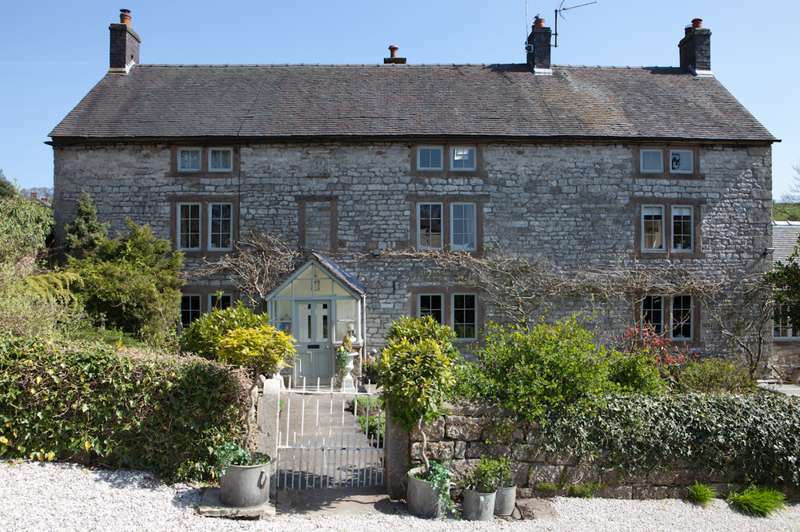 Just on the edge of the Peak District National Park sits Manor House, a beautiful Grade II-listed greystone Georgian B&B with three elegant rooms. Owner Sarah has an eye for detail, not surprising really given she owns an interiors shop, Vintage Living by Sarah Copley. Enjoy tea and cake on arrival, then explore Derbyshire and the Peak District – Chatsworth House is close by, and the Peak Pilgrimage footpath walk is designed to be enjoyed by all. Stay for three or more nights and you'll receive a discounted rate. The 25 is a super cool, award-winning B&B in Devon's Torquay, where cutting-edge technology meets funky design. Its 6 bedrooms are decorated in bold colours and each has its own iPad and smart TV. Owners Andy and Julian will welcome you warmly to their adult-only guesthouse and are more than happy to share their extensive local knowledge with you. Stay on National B&B Day and you'll receive a 10% discount. In the heart of Suffolk lies Rectory Manor, a rather special country house and a new addition to Cool Places. This high-end boutique B&B has 7 unique rooms, including a double aspect masterpiece with a four poster bed and roll top bath and a suite with a conservatory and private garden. Did we mention there's a butler called Tom? He's on hand if you need anything. Here you have a wonderful retreat, a place to escape to. With 6 characterful rooms, the Driftwood is a comfortable place to lay your had for a night or two. Housed in a classic Victorian building in the seaside town of Bexhill-on-Sea, it's also home to a restaurant serving fusion cuisine – the menu is Asian-inspired (think salt and pepper squid and Malaysian beef rendang), but you'll also find the likes of Austrian Apple Strudel, for which they are famed! Serving excellent locally sourced food and with fabulous views over North Norfolk's Blickling Hall, The Bucks is a cosy 17th-century inn with 4 spacious rooms, three of which have a four poster bed. Head there for dinner on a Sunday then enjoy an overnight stay with breakfast at a reduced rate of 50% – a corker of an offer. Also worth a visit are the Black Boys and the Recruiting Sergeant, part of the same group.